With PHPFox, you do have a number of pre-defined fields for each of your users. 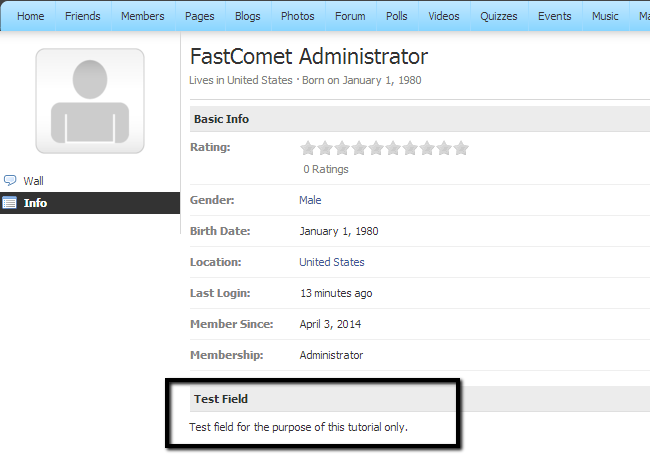 However, you may want to add a custom one that is not within the default information fields. There is a way for achieving that. 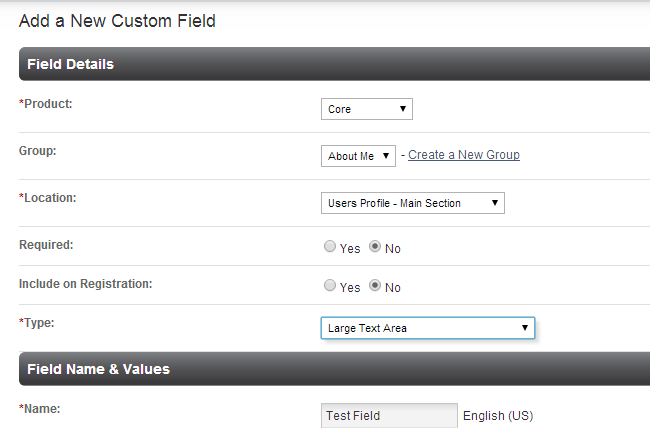 Select the User button from the top menu and then Custom Fields > Add Custom Field. Type - Select the type of the new custom field. You can set it as a selection, text area, radio buttons, etc. Click on the Save button to create the new custom field. For the purpose of this tutorial, we have edited the new custom field on our admin profile and here is how it looks on the front-end of PHPFox.